Manna Haven has been featured in The Byron Shire News, a newspaper distributed throughout the Byron Bay Shire area. You can have a read of the article here. 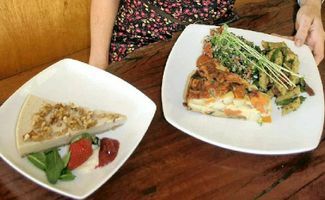 IF YOU love God, people and good food, then a new cafe in Byron Bay should send your spirits soaring. Manna Haven is a not-for-profit vegetarian cafe which has recently opened in Jonson St.